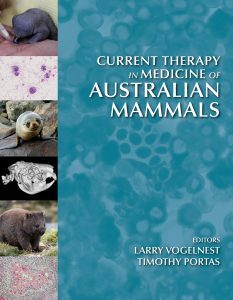 Written by Australian experts, Current Therapy in Medicine of Australian Mammals is clinically oriented, with emphasis on practical content with easy-to-use reference material. It is a must-have for veterinarians, students, biologists, zoologists and wildlife carers and other wildlife professionals. 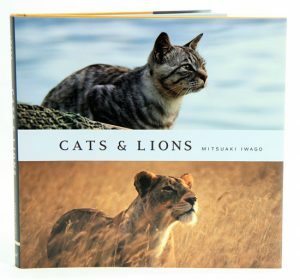 From renowned animal photographer Mitsuaki Iwago comes this visually arresting collection of photographs highlighting the similarities between our domestic cat companions with their wild cousins. Iwago masterfully captures these feline relatives in a variety of positions, situations and landscapes, revealing their uncanny parallels. Unexpected and captivating, this book makes a thoughtful gift for anyone with an eye for natural beauty and well-honed photography. Artist/Author: Campbell, Laurie and Anna Levin. 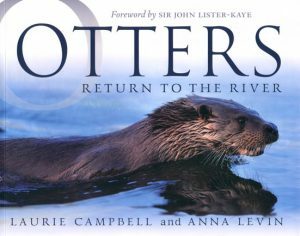 This book is a celebration of the return of the otter to Britain’s rivers and freshwater wetlands after a drastic decline in the last century. For more than two decades, award-winning photographer Laurie Campbell has documented these lithe, elusive predators on the River Tweed and its tributaries near his Berwickshire home. The resulting photographs create an intimate portrait of their lives through the changing seasons, including their riverside habitat and the other wildlife that shares it. Writer Anna Levin sets this work in the context of Laurie’s own life’s story as she accompanies him to the riverbank. Her notebooks offer a vivid glimpse of the photographer at work and of the otters that enchant them both. This beautiful book is lavishly illustrated throughout, divided into seasonal chapters and charts Laurie’s personal quest to capture these endearing creatures in their natural habitat. It also offers an insight into Laurie’s philosophy – to look closer to home, rather than further away to connect with our own natural environment. This book by Nicola Chester is an accessible and lively account of an intriguing and much-loved animal that, surprisingly, is still endangered and rarely seen despite a recent resurgence that has seen it expand from the remote British countryside and into cities. Nicola’s charming, informed text brings this elusive and exciting mammal into sharper focus revealing what an otter is, and how they live, feed, play and breed. Nicola reflects on how otters exist in our imaginations culturally and how that has changed over the years. She also examines the many challenges otters have faced, exposing what brought them to the brink of extinction, and explores the challenges we face in trying to find and watch otters in the wild. Each Spotlight title is carefully designed to introduce readers to the lives and behaviour of Britain’s favourite birds and mammals. Artist/Author: Lai, Fanny and Bjorn Olesen. This title is a magnificently illustrated celebration of one of the most iconic, beloved, and mysterious animals in the world. 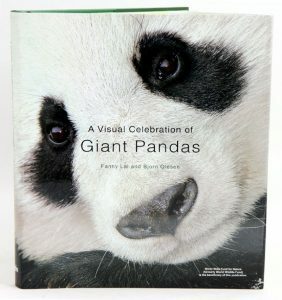 The result of five years of meticulous research and stunning photography this book is a delightful volume that follows in the footsteps of the shy and enigmatic giant panda, and captures both adults and cubs on camera in close-up situations. Beautifully photographed, in rarely seen settings, the authors explain what makes the panda such a lovable icon, and why the public cannot have enough of this symbol of quiet hope for survival in a fast-changing planet. It also provides readers with fascinating and detailed information about Giant pandas and the other species that share its habitat, such as the red panda and snow leopard. The issue of ‘pandaplomacy’ is also addressed, with the arrival of pandas in Singapore in 2012 and their likely arrival in Malaysia in 2013. Finally the book assesses the chances of survival for the Giant panda, and the efforts being made to preserve its habitat. The Giant panda is unique – and not just uniquely charming: it has no close relatives in the animal world. The iconic, instantly recognisable creature has symbolised wildlife conservation since it was adopted as a mascot. Yet despite having avoided extinction, a fate to which the species came perilously close, the population today is estimated at no more than 2000. 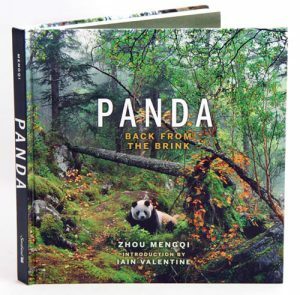 This spectacular volume brings together the expertise of leading conservationists with an extraordinary collection of photographs from both the world-renowned Wolong research centre and the wilderness of Sichuan’s magnificent Qionglai mountain range, the panda’s natural habitat. Red panda: biology and conservation of the first panda. This title is not held in stock but we are happy to supply on special order. Please contact us. Provides a broad-based overview of the biology of the red panda, Ailurus fulgens. A carnivore that feeds almost entirely on vegetable material and is colored chestnut red, chocolate brown and cream rather than the expected black and white. 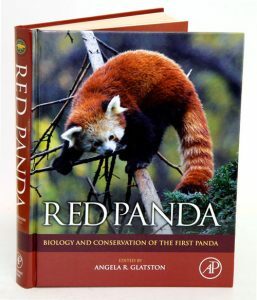 This book gathers all the information that is available on the red panda both from the field and captivity as well as from cultural aspects, and attempts to answer that most fundamental of questions, ‘What is a red panda?’ Scientists have long focused on the red panda’s controversial taxonomy. Is it in fact an Old World procyonid, a very strange bear or simply a panda? All of these hypotheses are addressed in an attempt to classify a unique species and provide an in-depth look at the scientific and conservation-based issues urgently facing the red panda today. “Red Panda” not only presents an overview of the current state of our knowledge about this intriguing species but it is also intended to bring the red panda out of obscurity and into the spotlight of public attention. Wide-ranging account of the red panda (Ailurus fulgens) covers all the information that is available on this species both in and ex situ. It discusses the status of the species in the wild, examines how human activities impact on their habitat, and develops projections to translate this in terms of overall panda numbers. It reports on status in the wild, looks at conservation issues and considers the future of this unique species. It includes contributions from long-standing red panda experts as well as those specializing in fields involving cutting-edge red panda research. Emphasises research and conservation management initiatives for 13 species of otter worldwide, incorporates molecular research on taxonomy and population genetics, and discusses the implications of otter studies for ecology and conservation biology. This work is aimed at naturalists, scientists, and conservationists., Otters are highly charismatic and popular animals of very considerable concern to conservationists worldwide. 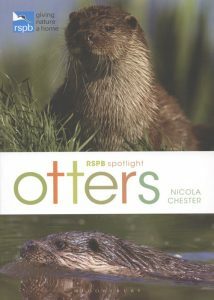 Written by the pre-eminent authority in the field, this book builds on the reputation of the author’s landmark monograph of the European otter, Wild Otters (OUP, 1995). Furthermore, its broader scope to include all species of otter in North America as well as Europe and elsewhere leads to a deeper synthesis that greatly expands the book’s overall relevance and potential readership. Aimed at naturalists, scientists and conservationists, its personal style and generously illustrated text will appeal to amateurs and professionals alike. 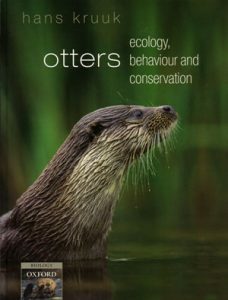 It emphasises recent research and conservation management initiatives for all 13 species of otter worldwide, incorporates recent molecular research on taxonomy and population genetics, and discusses the wider implications of otter studies for ecology and conservation biology. 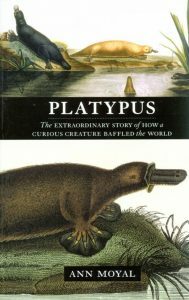 As well as enchanting direct observations of the animals, there is guidance about how and where to watch and study them., From otters in the British and American lakes and rivers, to sea otters in the Pacific Ocean, giant otters in the Amazon and other species in Africa and Asia, this book provides an engaging approach to their fascinating existence, to the science needed to understand it, and to the very real threats to their survival. Also available in hardcover [stock id 25113].